Scar Repairex® is a silicone based cream containing proteins, Vitamin E, Vitamin A, Vitamin C, Green tea extract, fatty acids, anti-inflammatory agents and Allantoin. 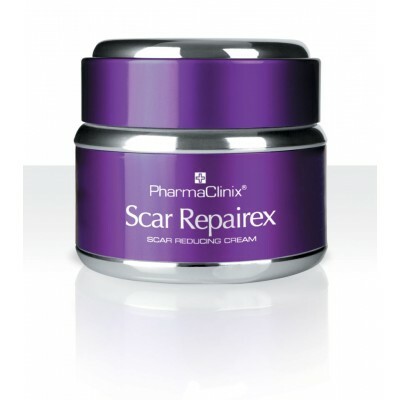 Scar Repairex® cream helps to reduce scars which are up to 2 years old. Its excellent for burns, accident, post-surgery, caesarean & keloids scars. It works by forming a transparent micro-film over the scar to provide maximum protection & hydration. The anti-oxidants & peptides encourage the growth of healthy, normal collagen, resulting in minimal scarring, and a smoother skin. 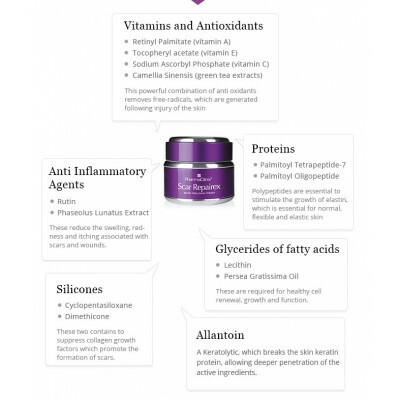 Scar Repairex® cream is excellent for reducing inflammation on damaged skin e.g. 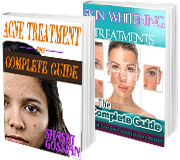 after hydroquinone, Retinoic acid or topical steroid abuse or after Laser treatment of skin. *Independent trials have shown up to 60% reduction in scar area over a 6-month period. Apply twice daily onto clean skin, massaging gently, until absorbed. These two combine to suppress collagen growth factors, which promote the formation of scars. Polypeptide are essential to stimulate the growth of elastin, which is essential for normal, flexible & elastic skin. This powerful combination of anti-oxidants removes free-radicals, which are generated following injury of the skin. These reduce the swelling, redness & Itching associated with scars and wounds. These are required for healthy cell renewal, growth and function. A Keratolytic, which breaks the skin keratin protein, allowing deeper penetration of the active ingredients.